We’ll send a knowledgeable residential electrician to your home in Indian Trail to get your electrical issues fixed quickly and efficiently. 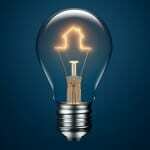 There are a few common signs that something isn’t right within your electrical system in your residential or commercial property. These include flickering or dimming lights, sparking, smoke coming from the fuse box or wires, strange smells, or outlets that are hot to the touch. When light fixtures or lamps go dim or flicker without anyone touching them, this problem often indicates that the wires connecting to the fixture are overloaded due to other energy-hogging appliances. There could be a problem with the fixture itself, so you can test this by taking the lamp to another outlet and watching to see if it dims or flickers. But for ceiling- or wall-mounted fixtures, this obviously isn’t an option, so you will need to call a residential electrician to test the wiring and fixture. Sparking and smoke are always causes for concern and necessitate a call to a residential electrician, no matter what time of day it is. Both of these indicators pose a serious risk of fire, so get the problem fixed by a residential electrician ASAP. If you just installed a new appliance, you may notice a strange smell coming from the item for the first few uses, but that smell should go away soon. Persistent, lingering electrical odors are also concerning, and outlets that feel hot when you touch them often indicate improper wiring. 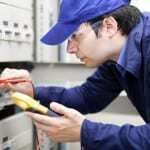 At Lamm Electric, we have experienced technicians who can diagnose and repair these and many other problems. We’ll send a knowledgeable residential electrician to your home in Indian Trail, North Carolina to get the electrical issues fixed quickly and efficiently, limiting how much time you’re stuck without electricity in every room of your home.